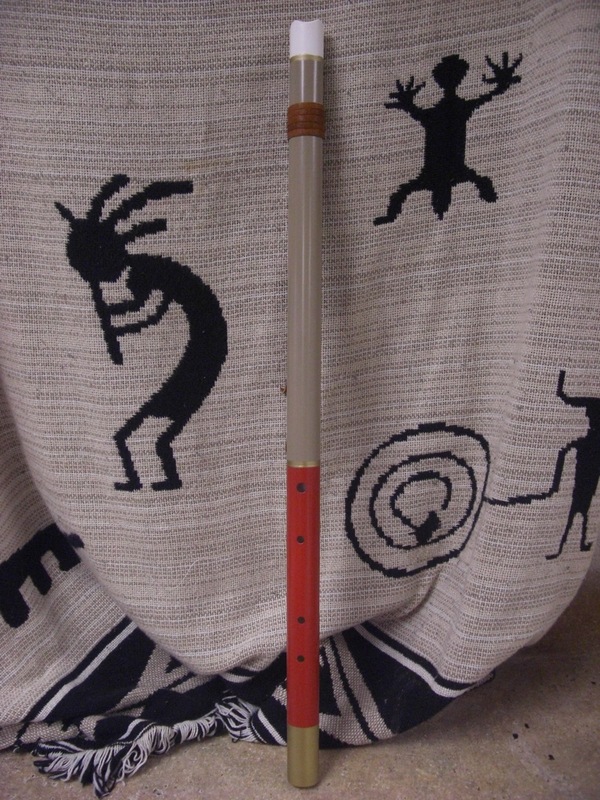 The Mojave-style 4-hole flute is an interesting and unique flute. The scale of this flute is keyed in B minor, and is the first five notes of the B minor scale (B, C#, D, E, F#). There is a jump up to the next B, and the pattern repeats. There is a strong Asian sound to this flute, interesting in that its origin is in the desert of North America. Very haunting in character, I find this flute very satisfying. The pictured color combination was my original design that portrays the sand and red rock colors of the Southwest. I also make it in a deep blue and khaki color. This a short example of the Mojave-style scale. A very soulful flute.